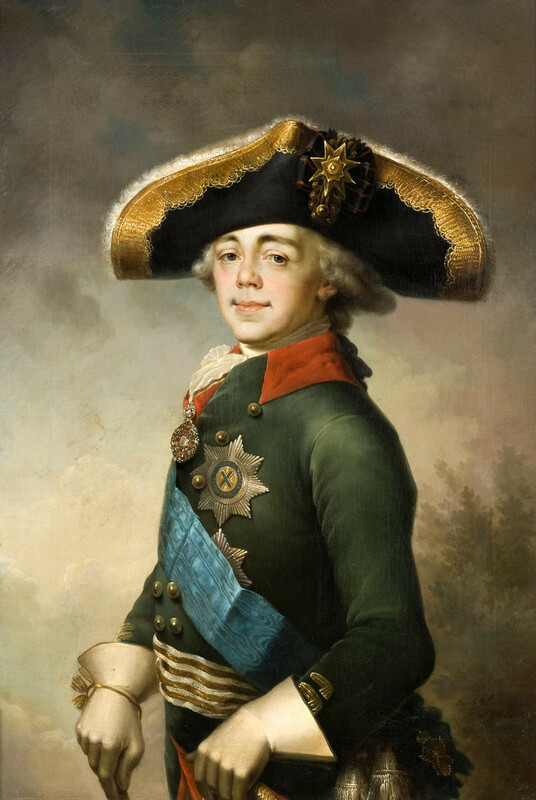 If Instagram was around during the time of the tsars, their royal accounts would have no doubt been plastered with selfies given their obsession with portraits. Here are a number of both ceremonial and informal artworks immortalizing Russia’s imperials, created by some of the country’s finest painters. 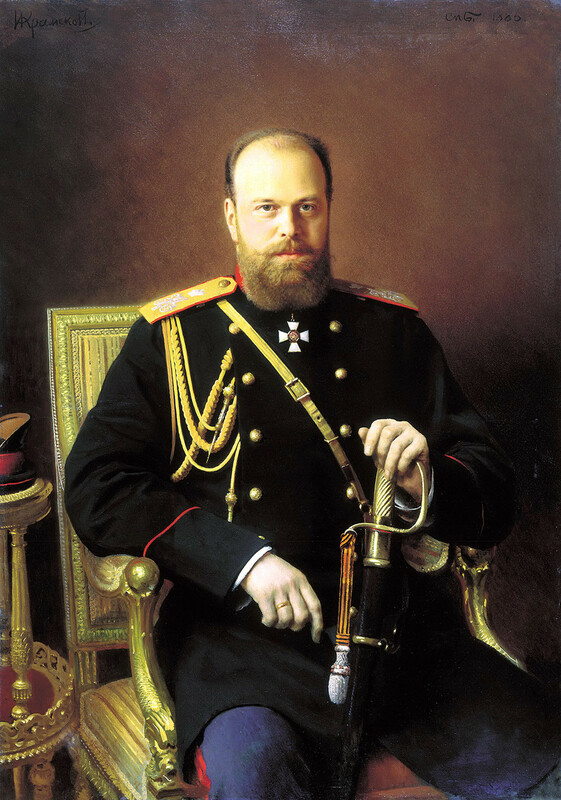 The first Russian tsar to announce himself as emperor literally changed the way the country looked. 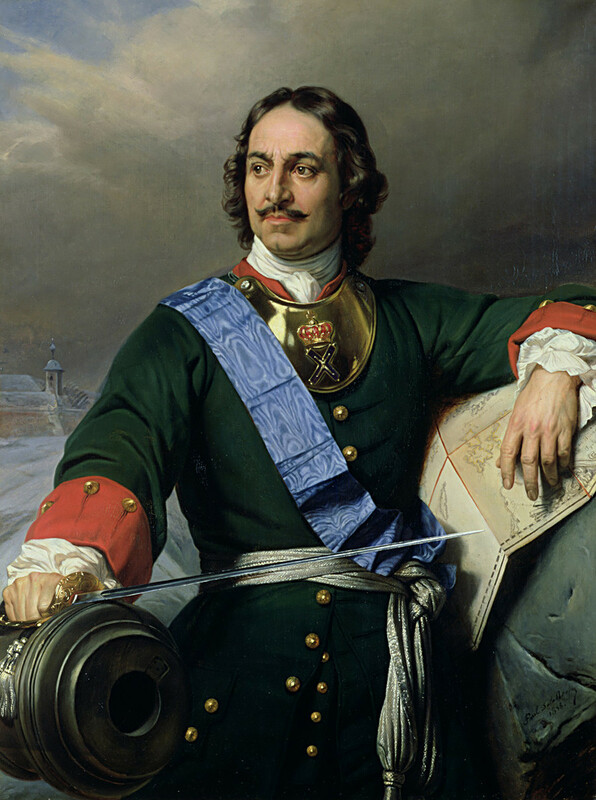 He created the navy and built the city of St. Petersburg, a window to Europe. He also forced women to wear European style clothes that revealed their breasts and made his boyars shave their long beards. Like many geniuses, Peter was nervous and suspicious. 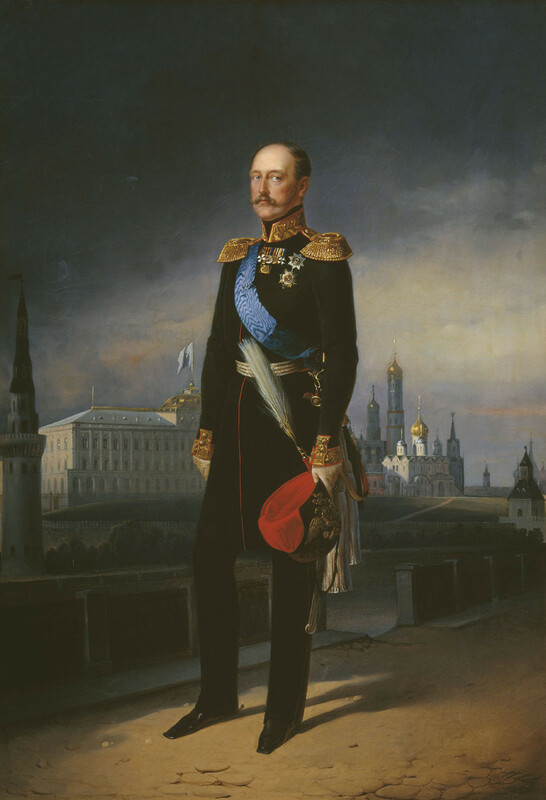 He was determined to hang on to power and thought his own son Alexei was planning a coup – so he had him arrested and locked him in the prison in the Peter and Paul Fortress. Here the young royal died, but it’s not known why (probably due to being tortured). 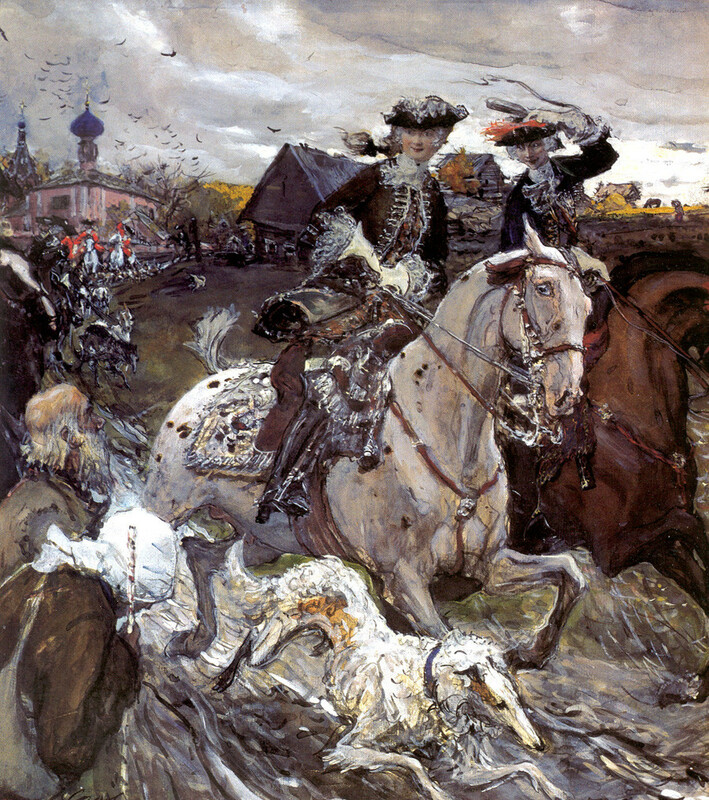 Anna, the niece of Peter the Great, spent 20 years in the Duchy of Courland. 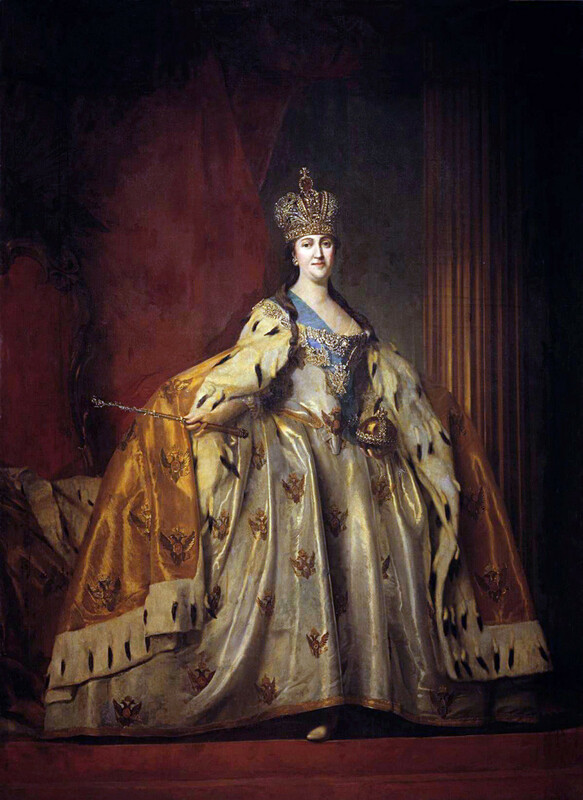 She was asked to take the Russian throne in 1730 after the death of her uncle’s grandson Peter II. But she brought her protégé and lover, Ernest Biron, from Courland to St. Petersburg – for a decade he ruled the empire from the shadows, becoming the most powerful man in the land. Anna didn’t express much interest in politics. She loved court gossip and a bit like Russian Louis XIV – a daffy mistress who surrounded herself with lots of court jesters and spent loads of money on entertainment. 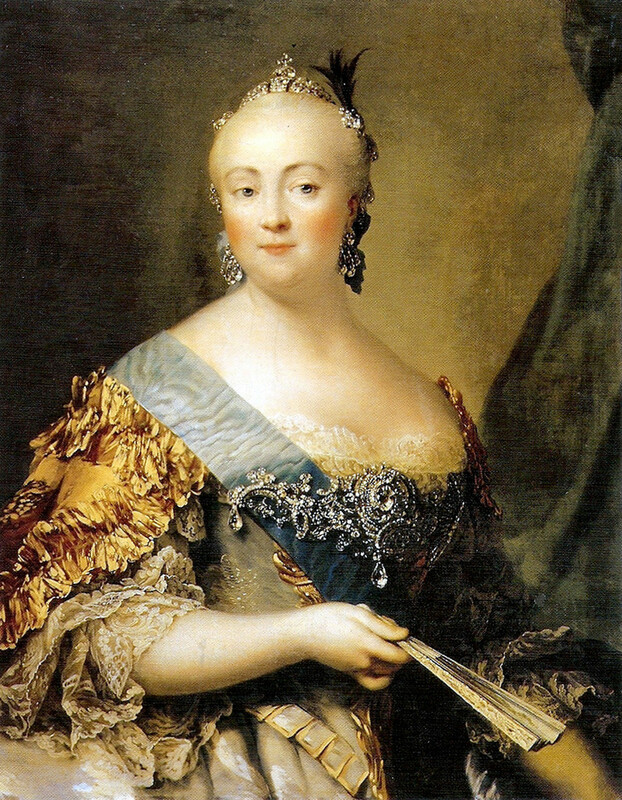 Elizabeth Petrovna was Peter the Great’s daughter and her reign was best known for the Enlightenment. She established Moscow University, developed the national theater, and set up the Academy of Arts. 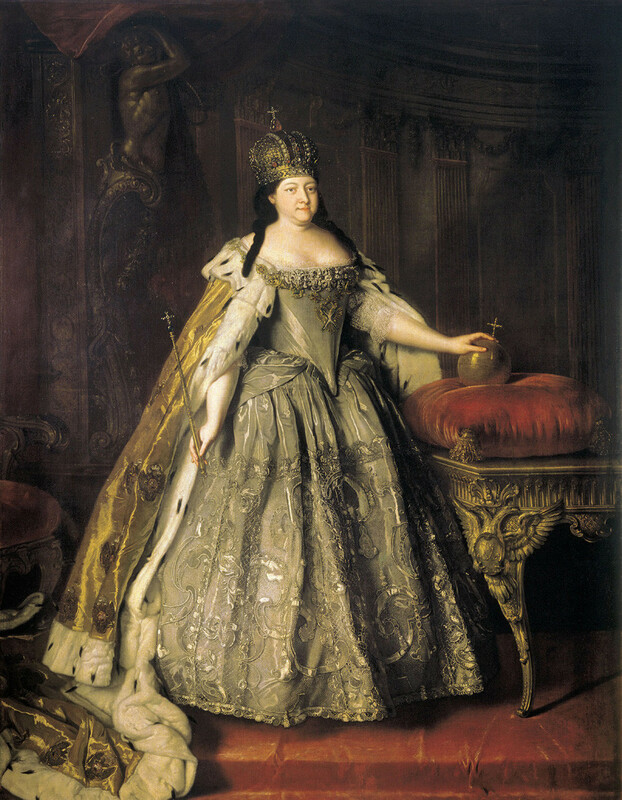 She practically abolished the death sentence in Russia – capital punishment was not enforced during her reign. 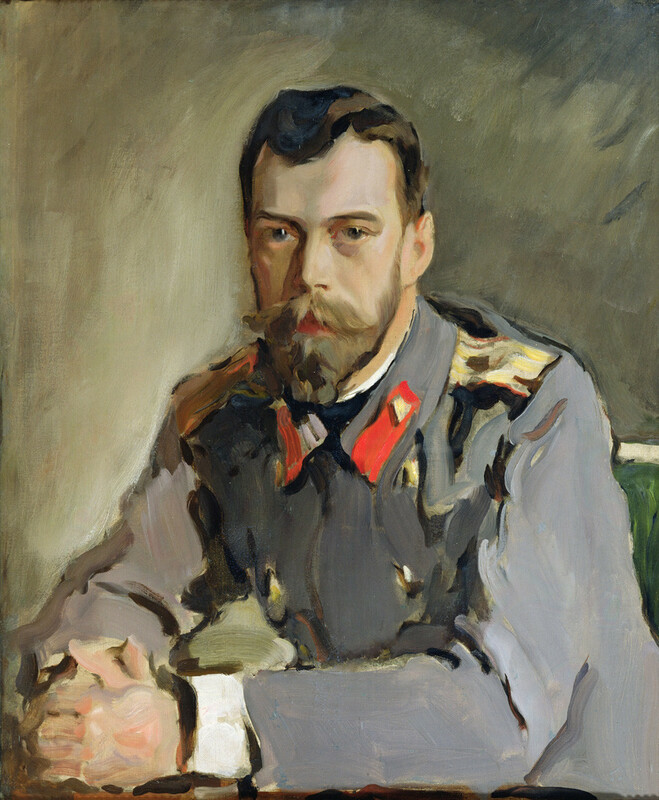 Elizabeth was very close to her nephew, the young tsar Peter II, and they frequently arranged parties together and went out hunting and long walks. 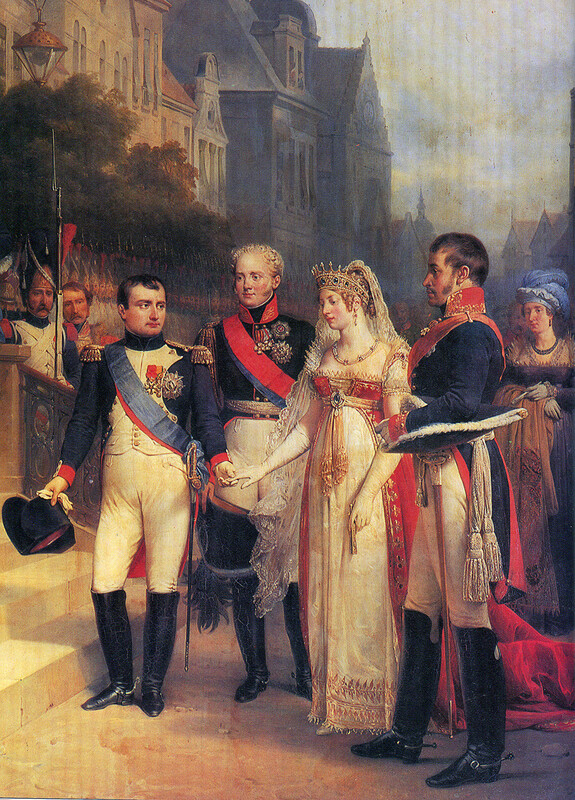 The court even spoke of their possible marriage – if this had happened she would have become empress far earlier but she waited for 11 years and another two tsars before launching a coup. This German princess was incredibly powerful and enjoyed one of the longest reigns out of all the tsars (34 years). 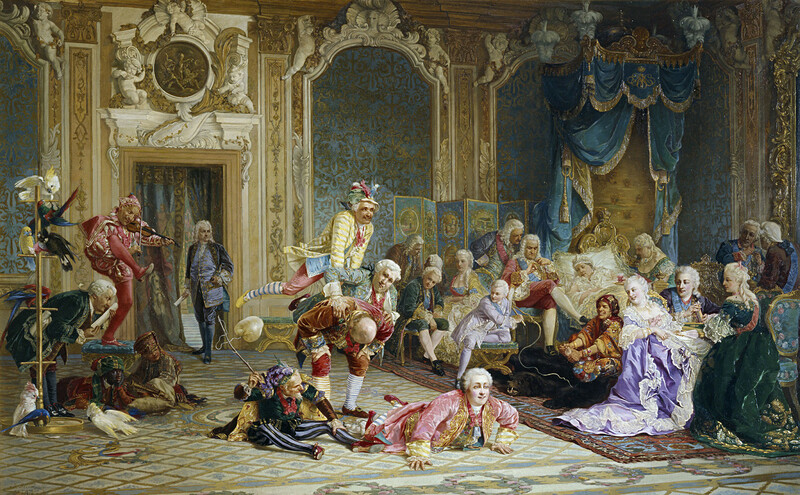 She deposed her own husband, the strange and weak minded Emperor Peter III, who much preferred Germany to Russia. Catherine was a progressive monarch and even exchanged letters with Voltaire and Montesquieu. Even until old age Catherine had many lovers and favorites, presenting them expensive gifts and even palaces. When she was 60, her youngest lover was just 20 years. 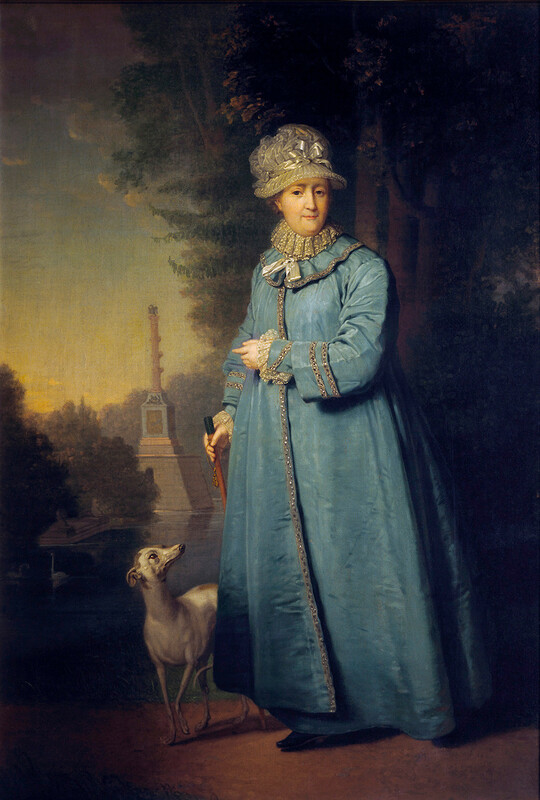 She frequently traveled between St. Petersburg and Moscow – she had several palaces built along the route so she could stop off along the way and relax in luxurious settings. She only stayed once in some of the residences. 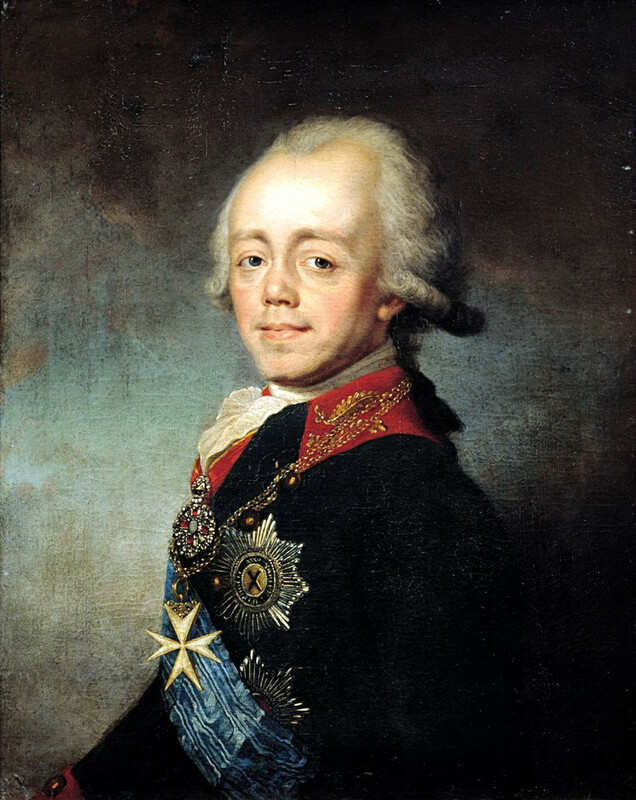 The weak son of powerful Catherine wasn’t a man of great intellect, just like his father Peter III. Moreover, he had a fragile nervous system. 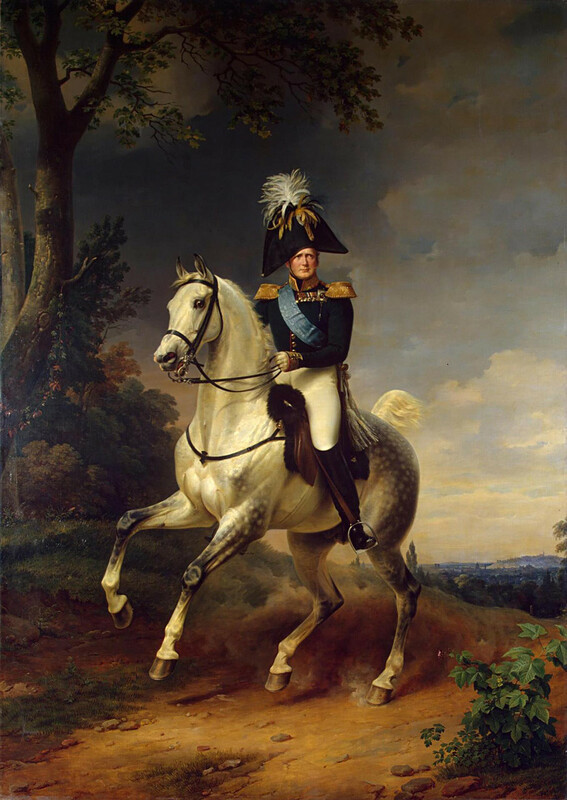 As a little boy he loved military games, uniforms, and marches – the latter he frequently arranged in Gatchina Palace. Paul saw betrayal everywhere and was extremely afraid of being murdered. That’s why he built Mikhailovsky Castle in St. Petersburg with strong defenses, including trenches around the perimeter like a medieval fortress. However, destiny caught up with him and he was killed in his own bedroom in the castle – what’s more, his son knew about the murder but did nothing to stop it. That son who knew about Paul’s murder was Alexander I. He was the favorite grandson of Catherine the Great and promised to rule like his grandmother. He was an enlightened tsar, bringing fruitful times for his noblemen. 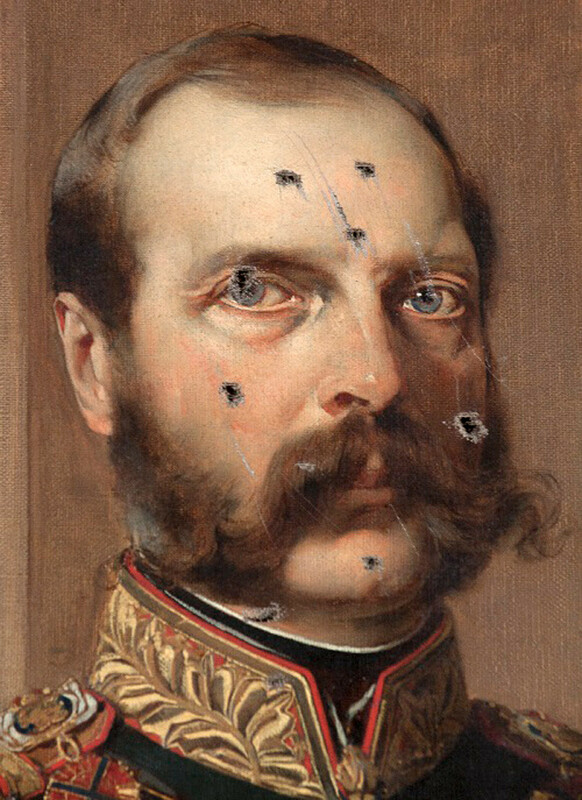 Alexander I was praised as a defender of Napoleon, freeing Europe from his grasp. The only thing – he didn’t really want to rule and was very soft. This is why, when he died young in southern Russia, some people claimed he had actually faked his own death, changed into monk’s clothing, and fled into hiding. 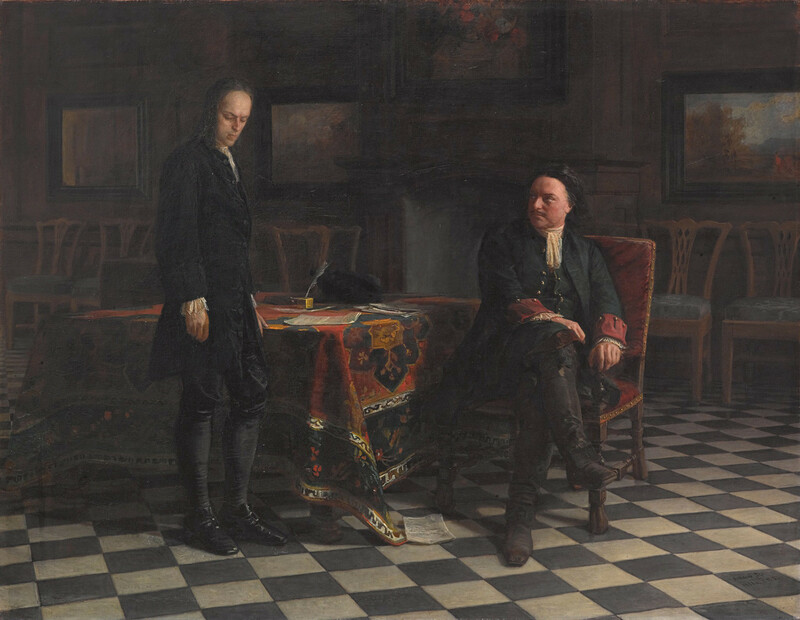 Compared to his soft brother Alexander, Nicholas was a harsh ruler and created the Third Section, Russia’s first secret police who were in charge of monitoring people and political discussions. Censorship was incredibly high during this time. During the relatively free reign of Alexander I his noblemen finally saw how Europeans lived and decided Russia needed its own constitution and absolute monarchy. 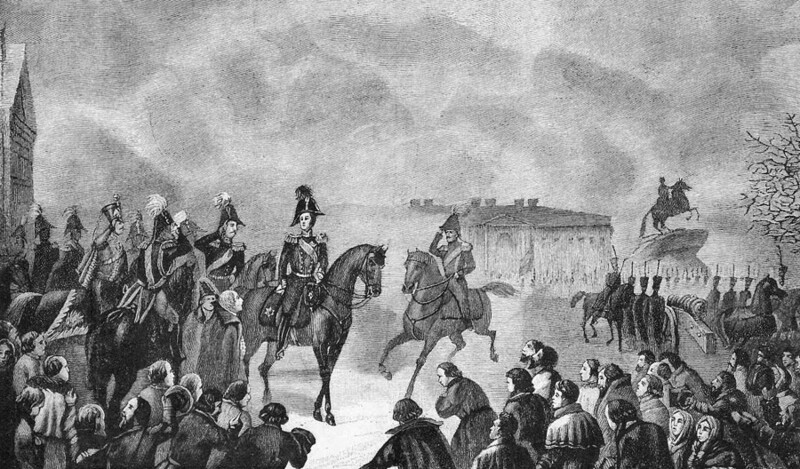 Secret societies, salons, and meetings gave birth to the Decembrist uprising on Senatskaya Square in St. Petersburg – but it was brutally crushed. 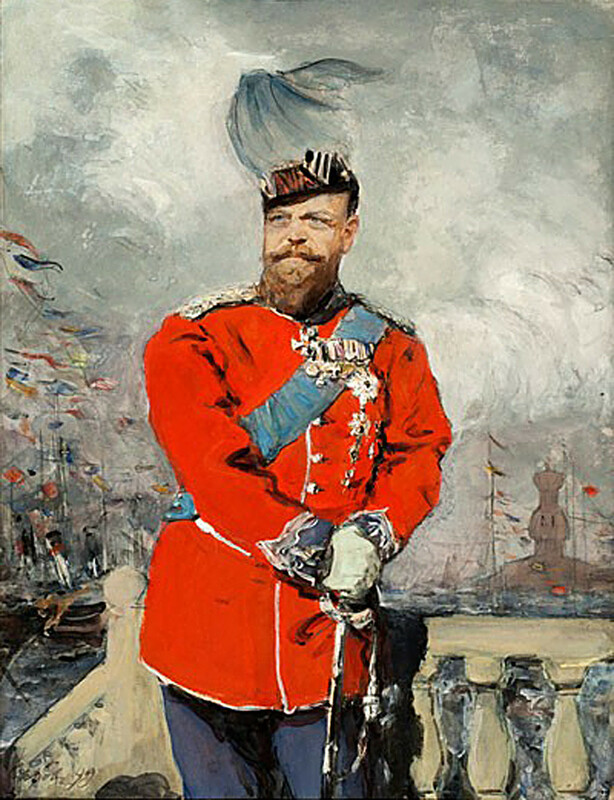 The style of rule changed somewhat during the 19th century, with the liberty of Alexander I being replaced by the censorship and secret gendarmes of Nicholas I, before some freedoms were restored under Alexander II. But when people felt freedom they usually started uprisings and even revolutionary terrorism, as Alexander II’s reign witnessed. He was the liberator of peasants and erased serfdom in Russia – but there were several attempts to kill him and eventually he was assassinated with a bomb. Even after his death people still tried to have a go at him, check out the stab marks in the painting that happened during the Bolshevik Revolution. 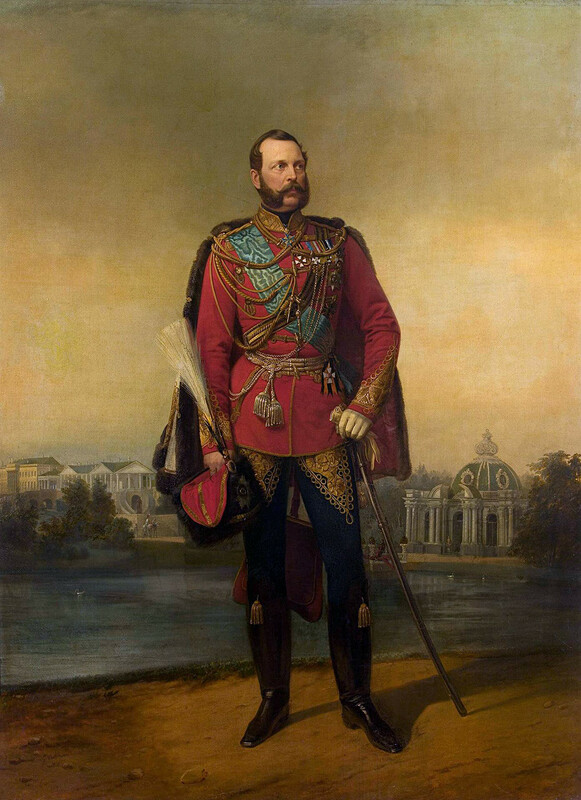 Alexander III was a stereotypical Russian man – big, strong, and brave. On one occasion he was once traveling with his family and they were involved in a terrible train crash, which claimed many victims including servants and attendants – however, the royal family miraculously escaped unharmed. Alexander III even supported the roof of a railcar on his shoulders until help arrived, just like Atlas. Alexander was a man with a big heart. He was a good family man and was unpretentious in everyday life, frequently working until late at night. There’s an old anecdote about his sense of humor: Once a soldier going by the name of Oreshkin got drunk in a tavern and caused an uproar, so people tried to calm him down. They pointed to a portrait of the tsar hanging on the wall and told him he should respect the royal presence. Then Oreshkin rudely said he didn’t care about that tsar so a criminal case was launched against him, but when Alexander III heard about it, he set Oreshkin free – saying that he also didn’t care about the soldier. Tragically known for being killed with his entire family, Russia’s last tsar seemed to be a nice person. He loved his wife Alexandra, was keen on boating, shooting wild birds, and other ordinary business – he was not a man of power. The unfortunate fate of Nicholas led to him being remembered as Nicholas the Bloody. A mass human stampede which killed many people during the celebration of his coronation in Moscow, WWI, the Revolution, and Civil War did his reputation no good. Read more: Romanov’s mistress: Who was she and why is their relationship so mysterious? How much Russian blood ran through Romanov veins?